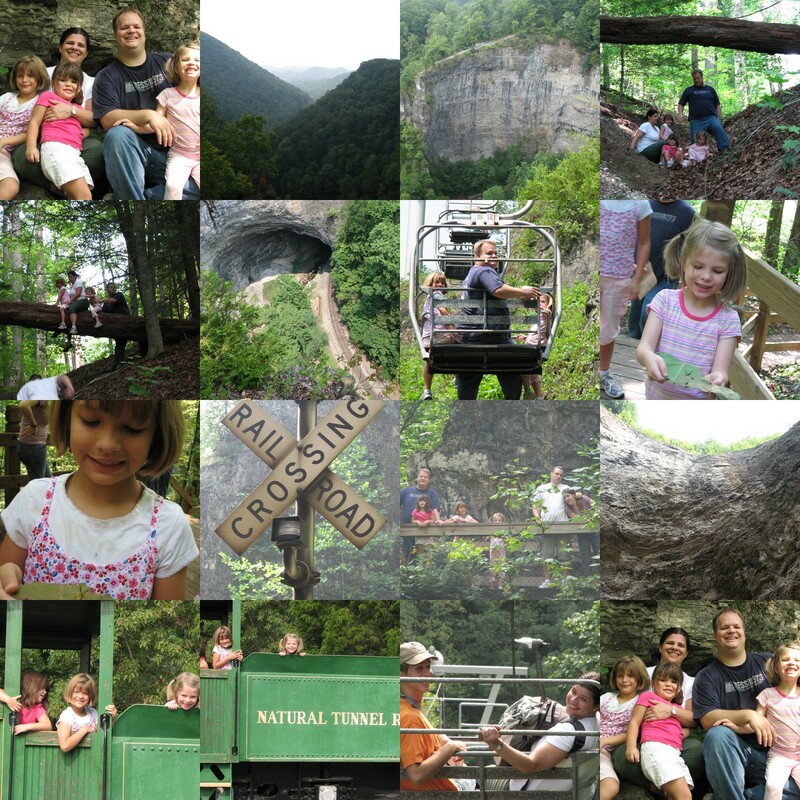 There is a wonderful State Park on the border of VA and TN. It is called Natural Tunnel State Park. You can particpate in all of their activities for FREE on Labor Day. We took the opporunity to explore with Duane and Faye’s ward! It was an almost perfect day. The scenery is breathtaking! The park dates back to the 1800’s when it was used as a place to stay for frontiersmen. They later discovered that the “Natural Tunnel” was a perfect place to lay the railroad tracks (its a shame if you ask me that they ruined the natural beauty with a train), but it adds to the mystique. All of the outlaying areas are still unharmed though, and it is a beautiful place. We all had a blast and even got some exercise with a glorious hike!